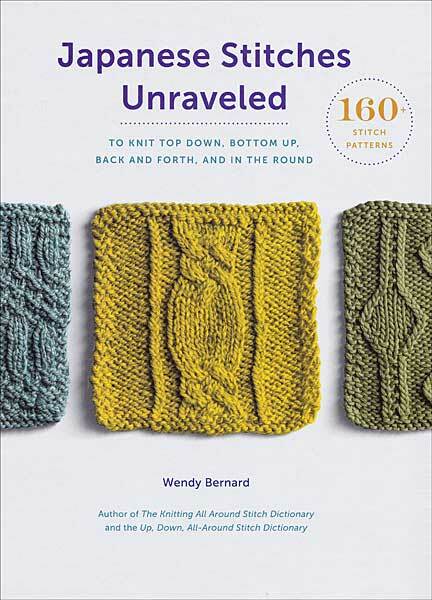 For many years, knitters have grown to appreciate this classic trilogy of indispensable stitch-pattern books. Now they are back in print with the addition of a fourth book! 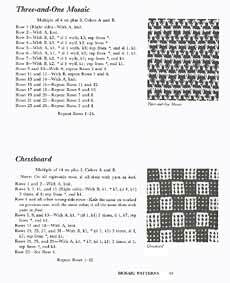 Barbara exposes you to oodles of exciting patterns that will expand your skills as you incorporate them into your projects. 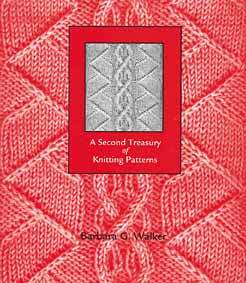 What a wonderful group of reference books to add to your knitting library! 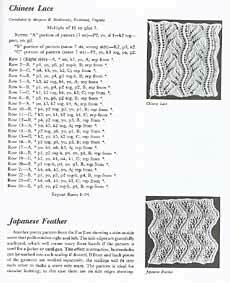 When considering options in all over patterns, ribbing, lace, borders and edgings, just pull out one of Barbara's books and you will have a wealth of ideas at your disposal. 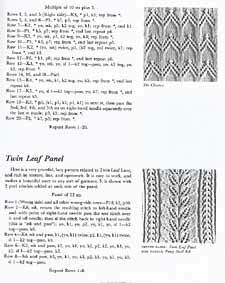 Book Two contains 700 written patterns, many of which have been passed down from generation to generation, with knit-purl combinations, slip-stitch texture and color patterns, mosaic patterns, fancy texture and color patterns, twist-stitch patterns, cables and cable-stitch patterns, yarn-over patterns, eyelets, lace, lace panels and insertions, and borders and edgings. 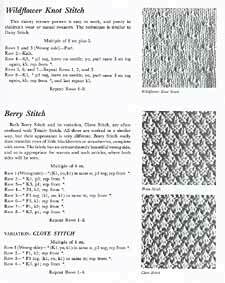 I forgot to say one thing I love about these treasuries is the commentary on the behavior of the fabric produced: what curls or lies flat, what's thick and dense, what spreads laterally so you should cast on fewer stitches, etc. Invaluable! These splendid treasuries are, I think, still the best. 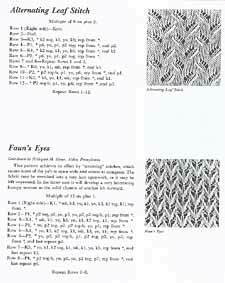 The black and white photos are far clearer than the color swatches in all the newer books. The colors often obscure what they're meant to show off. 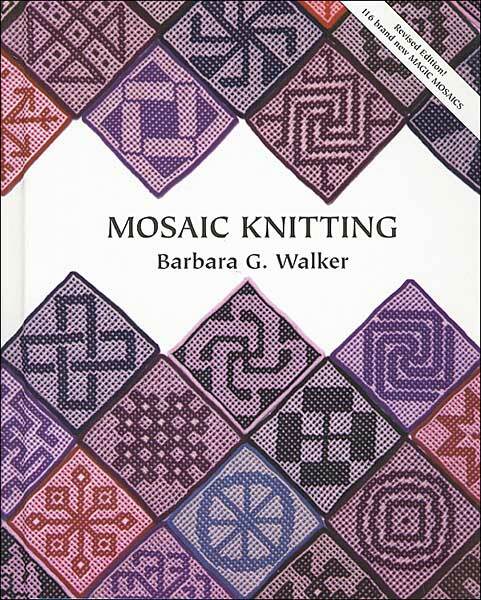 Barbara Walker , bless you!